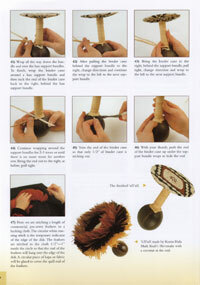 How to Make Hawaiian Musical Instruments - A Step-by-Step-Guide: Hawaii has a rich musical heritage that is carried on in the rhythmic beat of the ipu and resonant pounding of pahu drums at hula performances throughout the Islands. 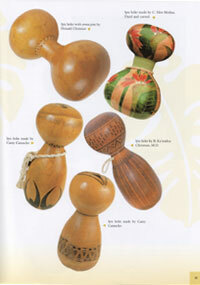 While many of the musical instruments that accompany hula today can be traced back to early Polynesian roots, others, like the ipu heke gourd drum, ipu hokiokio gourd nose flute and uliuli rattle, are considered to be uniquely Hawaiian, found nowhere else in the world. In the past, the only written information available on making Hawaiian musical instruments lay in the dusty notes of early anthropologists. 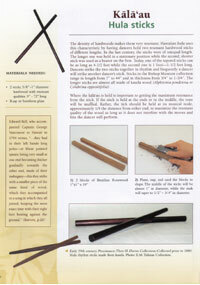 Now, for the first time, the manufacturing processes of eighteen traditional Hawaiian musical instruments are documented with carefully researched instructions and step-by-step color photographs in an easy-to-follow craft guide. 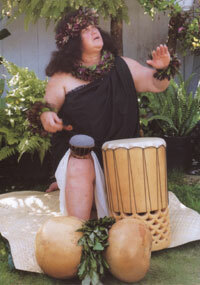 The ipu hula gourd drum is made from a single gourd. It is slapped with the palm of the hand as well as tapped with the fingers. In some dances, it is also thumped on the ground. 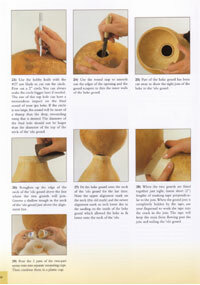 The ipu heke gourd drum is made from two large gourds. Detailed instructions show you how. 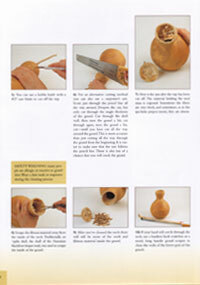 You'll learn how to make two styles of uli uli gourd rattles. 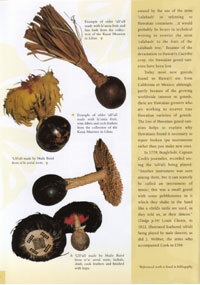 Historical rattles from museum collections offer ideas and inspiration. 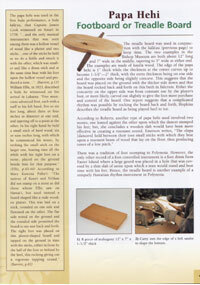 Bring the past to life, by making instruments used in old Hawaii. 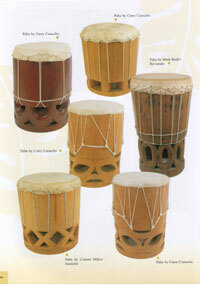 Study different lashings for the puniu and the pahu drums. 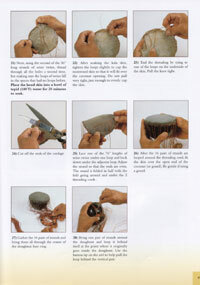 See how easy it is to carve a beautiful pahu drum from Coconut or Washington palm. 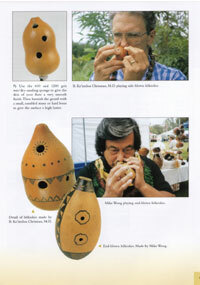 You'll even make your own gourd nose flutes: the ohe hano ihu from bamboo and the ipu hokiokio from a small gourd. 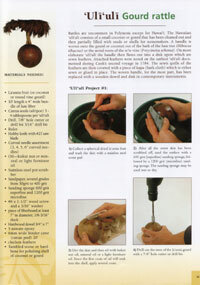 "Use a bottle gourd to make ipu heke. 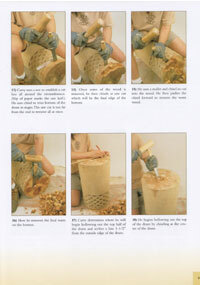 It shows step-by-step how to clean, cut, sand the gourd, and add a woven cord to make this instrument. 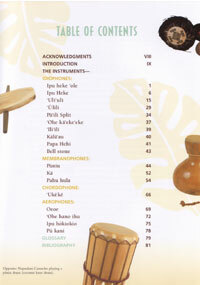 Other instruments are made from river pebbles, bamboo, sticks, coconuts, and the trunk of a palm tree. 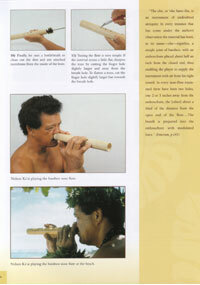 Following the thorough instructions, one can make drums, rattles, a bamboo nose flute, and a conch shell trumpet. Most users will need to substitute for supplies not locally available (the skin of a unicorn fish, for instance). 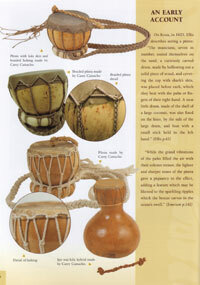 The book doesn't venture into how to play most of the instruments but does give some historical detail on how they were used. 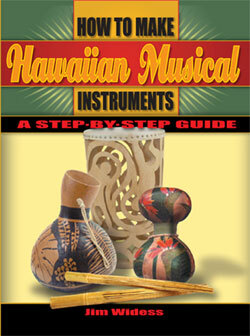 "Everything you need to know about making Hawaiian musical instruments. 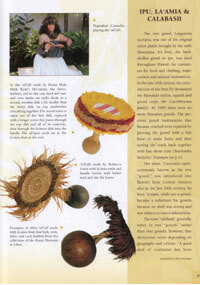 About the Author: Jim Widess has been providing classes in gourd crafting and basketry for more than twenty years. He is the owner of The Caning Shop in Berkeley, California, and co-author of The Caner's Handbook, Making Gourd Musical Instruments, and The Complete Book of Gourd Craft. 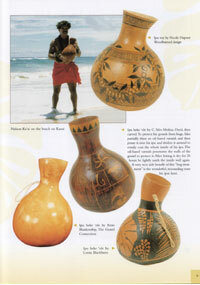 His most recent books include Gourd Pyrography and Making Hawaiian Ribbon Leis, which is the second in a series of Hawaiian arts and crafts books by Widess and Mutual publishing.